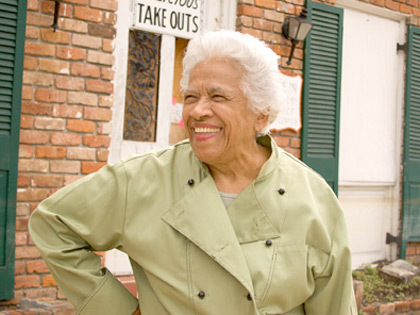 Most Famous For: Her mastery of Creole cuisine, her support of African American artists, her contribution to the social and cultural fabric of New Orleans and her ability to speak the truth and make people feel okay hearing it. The First Time I Saw Her: In a FEMA trailer outside of her restaurant in 2006. Greatest Contribution to Food: A three-way tie between her gumbo, her fried chicken and her red beans and rice.